Germany's High Seas Fleet ceased to exist in June 1919, when its crews scuttled most of the fleet's battleships, cruisers and destroyers rather than hand them over to the victorious Allies. Any modern ships not present that morning would be seized shortly afterward and distributed among Germany's enemies. Germany's defeat, and the harsh peace that followed, are possibly among the least likely outcomes of the First World War. At the end of 1916, Germany and her allies stood in a very strong position, and the United States offered to mediate a peace settlement. Eager to obtain a total military victory and dictate peace terms, the German government refused to even discuss the offer. The Kaiser's Navy is a book supplement for the Second World War at Sea game series, exploring the alternate history possibilities had Imperial Germany survived the First World War and continued its naval expansion plans. There are 210 die-cut and mounted playing pieces: 70 double-sized "long" ship pieces and 140 standard-sized ones representing task forces, aircraft and smaller warships. 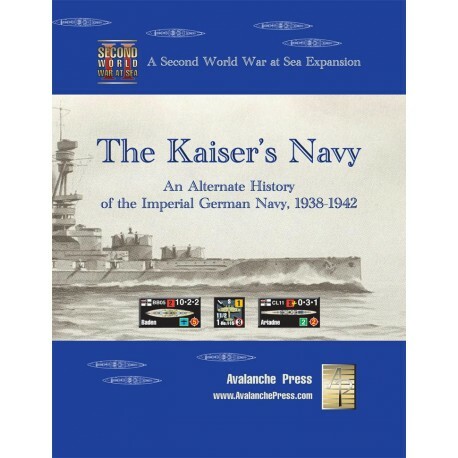 There are also more than two dozen new scenarios, or separate game situations, based on battles that might have been waged by the Imperial German Navy in the Atlantic and Mediterranean Seas. The pieces represent the ships of the High Seas Sea Fleet: modernized older dreadnoughts, modernized versions of the ships not completed, and some of those planned or discussed but never built. 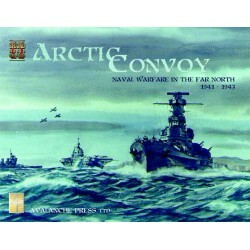 This module is not playable by itself, but requires ownership of Bomb Alley, Arctic Convoy and Bismarck to enjoy all of the scenarios.